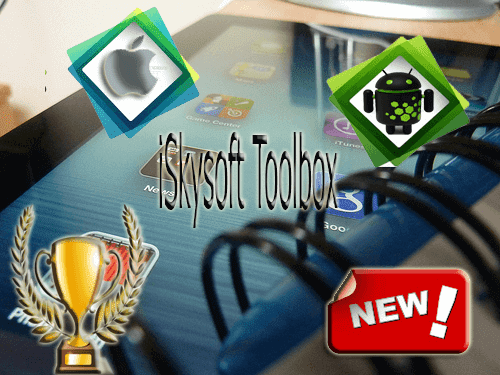 Discover iSkysoft toolbox For iPhone iPad and Android - store in the world. Dear users, our site is free information. We are always looking for real solutions to the problems of iPhone and iPad and different methods and programs to transfer data and recover deleted data, either from the iPhone or iPad and today with a program and a powerful and powerful and easy to perform, iSkysoft Toolbox to repair the iPhone and Android and transfer data and take backups both for iPhone or iPad And delete files on the phone if you think of selling a phone is concerned if one wanted to take your data, photos, and videos, but with this program iSkysoft Toolbox will permanently delete your phone data and impossible to access again. The first and second services, which will benefit from the data transfer from one phone to another, whether from iPhone to Android or any other device. The program will be available with a copy to work through the computer and a copy to work through the iPhone. click to backup and restore your iPhone, iPad, iPod, Android, selectively and preview available. Data transfer speed for both phone and Desktop our mac book air. Fix your iOS system with one click and very fast. There is no loss of data. Transfer data from one phone to another android to iPhone Samsung to iPad. Retrieve and restore deleted images and videos in iPhone and Android data lost from phones. Unlock the iPhone and Android screen lock quickly and without passwords correctly.